Some of Wellington’s most outstanding soloists, chamber music ensembles and choirs perform in an exciting line-up of concerts over the summer. 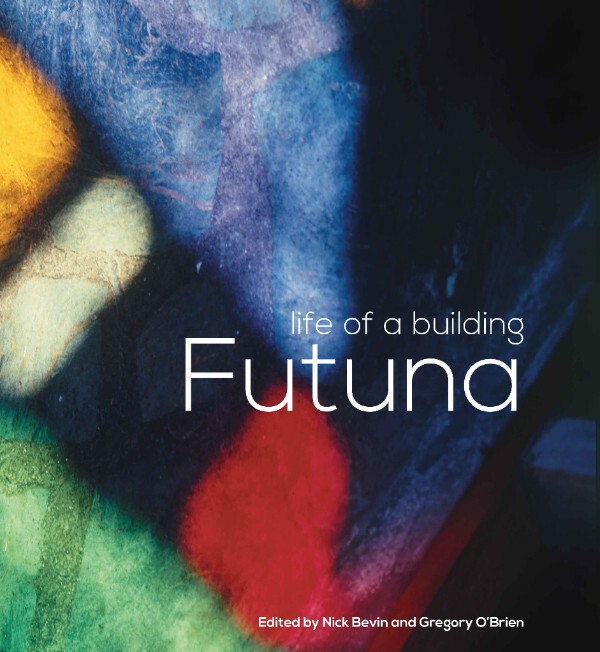 Experience the seasons’ progression through the light-filled windows of John Scott’s Chapel of Futuna in Karori, whilst enjoying the very best of New Zealand music. Concerts are approximately 1 hour long, starting at 2:00pm each Sunday afternoon. All tickets cost $10 per concert either available on the door (cash only), or from Dash Tickets. This concert series is supported by the WCC through their Arts and Culture Grants programme. Bernard Wells is an accomplished musician well known throughout New Zealand for his expertise in performance and teaching in a wide variety of genres, including jazz, folk, blues, country and classical music. Bernard has been an afficianado of the recorder for more than 50 years. He has a degree in recorder from Utrecht Conservatorium, a Performer’s LTCL Diploma from Trinity College of Music, London and is well known as a concert artist and teacher. A national recording artist for Radio New Zealand, he has performed a wide range of music from medieval to contemporary, as soloist, with chamber groups and with various orchestras throughout New Zealand and Australia. Martin Ryman is a graduate of the University of Auckland where he first studied as a pianist with Janetta McStay, and also sang in Auckland Cathedral Choir under Professor Peter Godfrey. He later furthered his studies as an organist and harpsichordist at The Royal College of Music, London with Nicholas Danby and then at Oxford with Dr Walter Hillsman. In 1993 he gained a New Zealand Music Award and in 2004 graduated with a Masters with Distinction in harpsichord and organ performance from Victoria University of Wellington. In 2011 Martin formed Cecilia Music, an organisation which promotes young emerging talent. To date there have been concerts of lieder and a performance of J S Bach’s Coffee Cantata with the Wellington Baroque Ensemble with musicians drawn from the New Zealand Symphony Orchestra. Karen Batten, Flute. Born and bred in Lower Hutt, Wellington, Karen completed her first music degree at Victoria University where she studied with Alexa Still. Karen then went on to complete a Master of Music at the State University of New York at Stony Brook. While living in New York, Karen studied with several leading flutists and attended summer schools in Florida and later, Banff, Canada. Upon returning to Wellington, Karen has developed a varied freelance career. She is Principal Flute for the Wellington Vector Orchestra and frequently works with the New Zealand Symphony Orchestra. Karen has also taught extensively throughout the region and continues to teach privately and at one high school. She was Principal Flute and Piccolo with the Central Band of the Royal New Zealand Air Force for several years. Chamber Music is a passion for Karen. She is a founding member of the flute, clarinet and piano ensemble “Ethos”. 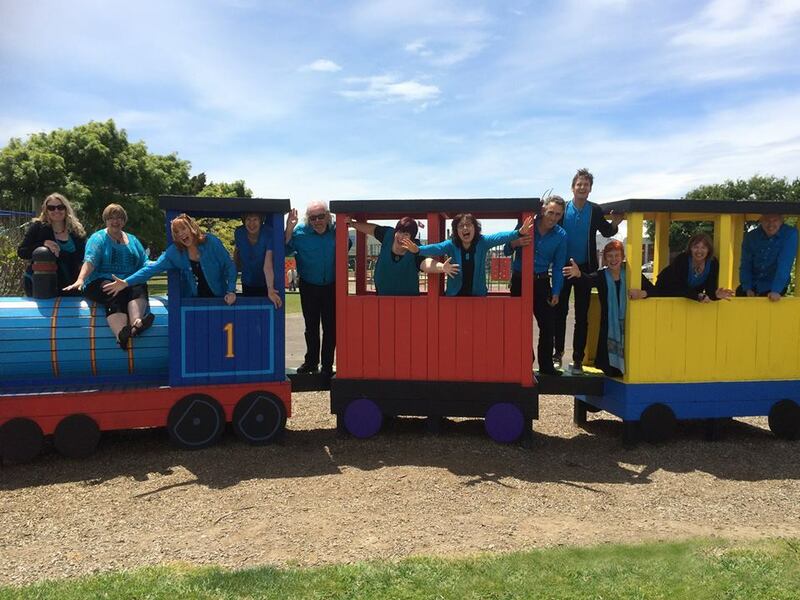 The ensemble has performed throughout New Zealand and has commissioned works from New Zealand composers. In 2010 Karen will be part of the “Elios Ensemble” (flute and string quartet) which will tour for Chamber Music New Zealand. Born and raised in Auckland, Madeline Sakofsky began a Bachelor of Music degree in 1992 at the University of Auckland which she completed in Melbourne at the Victorian College of the Arts three years later. During this time she studied oboe with Stanley Jackson and with Anne Gilby. In 1995 Madeline headed for Germany where she completed two post-graduate diplomas in performance music, firstly in Mannheim studying with Prof. Winfried Liebermann, and then in Cologne with Prof. Christian Schneider. During this time she played with many orchestras, including the Cologne Chamber Orchestra, the Volkwang Chamber Orchestra in Essen, and the Philharmonic Orchestra of Hagen. Upon returning to New Zealand in 2000, Madeline took up the position of Associate Principal Cor Anglais/Oboe in the Auckland Philharmonia Orchestra, which she held until moving to Wellington in 2009. She performs regularly with the New Zealand Symphony Orchestra and the Vector Wellington Orchestra as well as playing chamber music with the Nikau Trio. 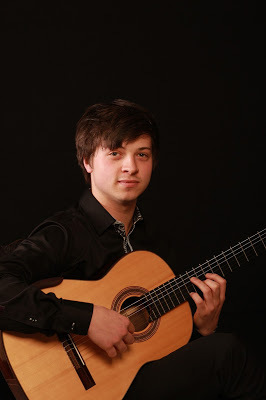 Jake Church is “one of the most exciting young classical guitarists in the country” (The Gisborne Herald, 2015). He is studying a post-graduate Honours degree in Music at the Te Kōkī New Zealand School of Music in Wellington, under the tuition of Dr. Jane Curry. He has received scholarships from the New Plymouth Rotary Club, the Dame Malvina Major Foundation and the Mt Egmont Masonic Lodge annually for the past 3 years. At the inaugural New Zealand Classical Guitar Competition (2014) he gained Second Place overall and the Audience Choice award in the Open Division. This has led to performance opportunities around New Zealand. He achieved the highest grade in the guitar program’s mid-year recital and won the Jack C. Richards Music Award. This involved a guest solo performance at the Gisborne Tairawhiti Museum Concert Series. Recently Jake also achieved the New Zealand Aspiring Guitar Award, the 2nd Place Performers’ prize in the NZSM Composers Competition and is a current finalist for the Body/Harris Prize. Alongside his solo commitments he is a founding member of Duo Kitā. The classical guitar duo gained the Freemasons Lankhuyzen/Whetu-Kairangi Music Award which supported their debut tour of New Zealand this year. Besides performing around the country, Jake tutors as part of Victoria University’s Young Musician Program and privately teaches when he returns to New Plymouth during his study breaks. His main goal is to pursue a Masters in Classical Performance in an overseas program. The assistance from scholarships and encouragement of his family and friends has always driven Jake to challenge himself, in turn “leading him to have honed a variety of intriguing repertoire” (The Gisborne Herald, 2015). 21-year-old Jake Church is “one of the most exciting young classical guitarists in the country” (The Gisborne Herald, 13 July 2015). Jake is studying a post-graduate Honours degree in Music at the Te Kōkī New Zealand School of Music in Wellington, under the tuition of Dr Jane Curry. He has been sponsored by the Rotary Club of New Plymouth, NZ for the past three years, and has also received annual funding from the Dame Malvina Major Foundation and the Mt Egmont Masonic Lodge. Michelle Velvin recently completed a Postgraduate Diploma in harp performance at Te Kōkī, New Zealand School of Music, learning with Carolyn Mills. Michelle completed a Bachelor of Music in Classical Performance and Instrumental/vocal composition in 2014. In 2015 she was the winner of the NZHS Performance Harp Competition (advanced category). In 2014 she created the Wellington Harp Orchestra, which she organises and directs. Michelle has performed with the New Zealand Symphony Orchestra, the NZSO National Youth Orchestra, Orchestra Wellington, Wellington Youth Orchestra and the Christchurch Symphony Orchestra. 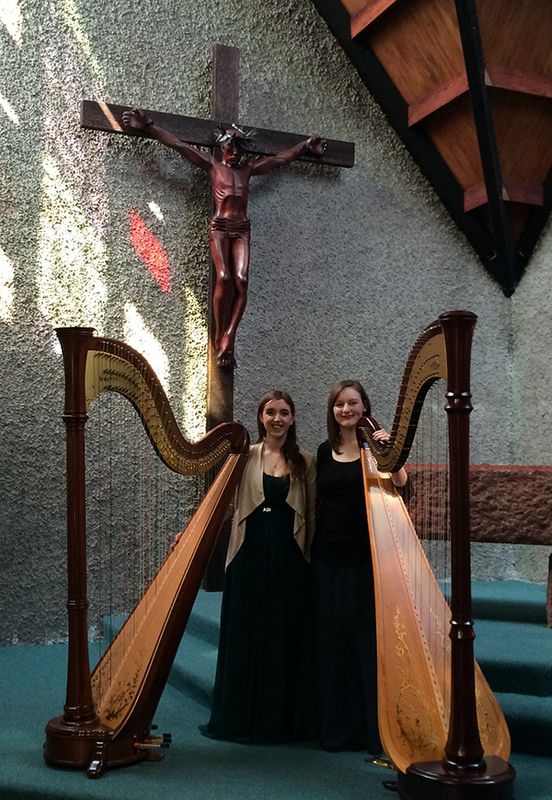 Earlier this year Michelle had her composition for harp ensemble Under Watchful Eyes, performed at the weeklong Auckland Harpenz festival. She was also recorded for New Zealand Singer/Songwriter Dudley Benson’s new album, Zealandia, due for release early 2016. Michelle is also one half of the violin/harp Duo ‘VARP’, with violinist Laura Barton. At the World Harp Congress in Sydney 2014, Michelle ran a harp ensemble workshop with Helen Webby and Sasha Henderson on Gareth Farr’s Frozen Landscapes, for harp ensemble. Also at the WHC 2014, her work Bones for solo harp and electronics was performed by Carolyn Mills. In 2012 Michelle was a finalist in the HCA competition at the 5th Australian Harp Festival in Adelaide and was also a finalist in the Todd Young Composer Awards. Jennifer Newth is a twenty-one year old harpist based in Wellington. Jennifer recently graduated from Te Kōkī, New Zealand School of Music with a Bachelor of Music with First Class Honours, studying the harp with Carolyn Mills. Jennifer completed a Bachelor of Music in Classical Performance in 2013 at the age of nineteen, and was subsequently awarded the Ariadne Danilow Music Prize, presented to the top student proceeding to postgraduate study. She has performed as a soloist with the NZSM Orchestra, playing the Ginastera Harp Concerto, and was a participant in the 2015 New Zealand Symphony Orchestra Fellowship Programme. Jennifer was a member of the NZSO National Youth Orchestra for three seasons, which she joined at the age of fourteen, and was Co-Principal Harp in 2010. She was selected to participate in masterclasses with Karen Vaughan from the London Symphony Orchestra at the 2011 World Harp Congress in Vancouver, and Heidi Lehwalder at the 2014 World Harp Congress in Sydney. Jennifer was a finalist in the NZSM Concerto Competition in both 2012 and 2014, and won the performance prize at the 2014 NZSM Composition Competition. Jennifer has played in many orchestras around New Zealand, including the New Zealand Symphony Orchestra, the Auckland Philharmonia Orchestra, Orchestra Wellington, Southern Sinfonia, and the Christchurch Symphony Orchestra. WOSOSI are a dynamic, a cappella choir who enjoy exploring the world’s rich singing traditions. We specialise in songs and chants from around the world, conveying each song’s intention and wairua – whether that is a quiet longing for your homeland, celebrating the joy of independence won, the despair of loved ones lost or the delicate beauty of a song of peace. Let us transport you through song to the Balkans, Europe, Africa, Russia, Asia, South America, the Pacific and many other places, then bring you home with waiata from our own beautiful Aotearoa.